Exciting News: CoEd Staff Join Rotary! It is my great pleasure to announce that CoEd staff members Howard Lobb, Joe Berninger and I have joined Rotary! Yes, after working in partnership with Rotary clubs for over two decades, members of CoEd’s staff have finally crossed over and are joining your number. We are now proud members of the Ohio Pathways Rotary eClub. We have long admired the incredible work of Rotary, and count many Rotarians among our friends. However, life circumstances (we have eight young children between us!) prevented us from making a solid commitment to Rotary until this past year, when we started exploring options and hoping to find a club that would be the best fit. 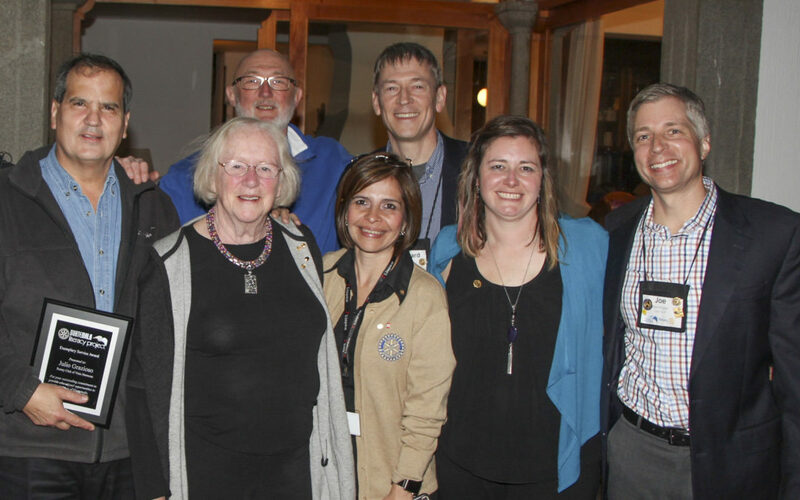 The stars aligned this February on the GLP Project Tour, when long-time friend Bob Kuck, who introduced us to Rotary back in the late ’90s, joined us in Guatemala along with several members of his club, the Ohio Pathways Rotary eClub. After the tour, the club leadership invited us three to join their club, and it was clear to us that Ohio Pathways would be a great fit for us, especially since we made the acquaintance of so many of their members on the tour. We are excited to see these relationships with our fellow members continue to grow, both online and also at the RI Convention and our district conferences. As most of you know, Joe, Howard and I have been deeply committed to our work improving literacy and the quality of education in Guatemala for many years. We are now honored to continue that work as Rotarians, and thank all of you for providing us with YOUR example of Service Above Self. The GLP is a network of Rotarians and CoEd that improves education for underserved students in Guatemala. It is coordinated by the Rotary eClub of Ohio Pathways (D-6600).